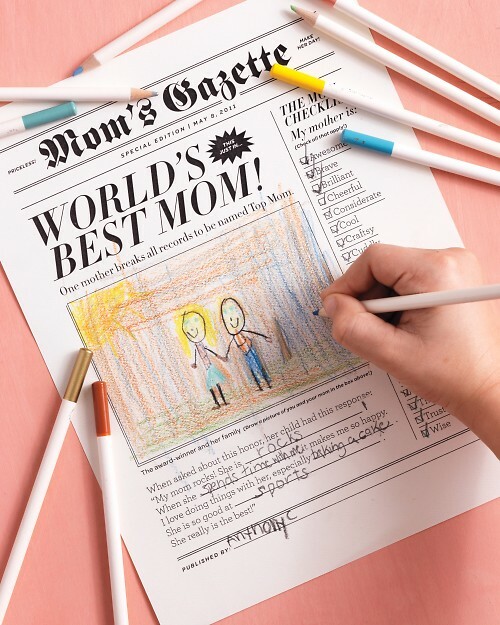 Mother's Day Newspaper by Martha Stewart : Let's Celebrate! Get your Mom famous featuring in the front page of your own newspaper. Martha Stewart has this great idea. Print it on Ivory paper and get creative, draw her picture or put a photo of her and fill in the blanks. Get to work... only one more day! !